Do you have an unusual ability or power? If you know that you are different and that you have certain powers or abilities that are not considered normal, chances are you are the next step in human evolution. This concept was explored in a TV series called Alphas a few years ago and while it is fiction, there is also a lot of truth to it. Neurodiversity is a concept that first surfaced in connection with autistic spectrum ‘disorders’ when the autistic community started to fight back against pathological labelling. It is now being used for other ‘disorders’ but the truth is that a lot of these so-called disorders are just part of the next step of the human evolution. As human DNA starts changing, evolving and adapting, the occurrence of atypical neurological patterns will increase rapidly. I have created a Tarot Spread to help you own, celebrate and hone your ability, as well as to use it to align you more deeply with your Life Purpose. 2. Challenge – Your current most pressing challenge with regards to this power. If a court card shows up here, it could indicate that someone around you is attempting to block or belittle you. 3. Spirit Guidance – What advice your spirit guides have for you about your current challenge. 4. Shadow Aspect – This is your life long challenge that comes with your special power. It represents how you project your hopes and fears onto others. This card is a mirror for the deepest, darkest corner of your soul. 5. 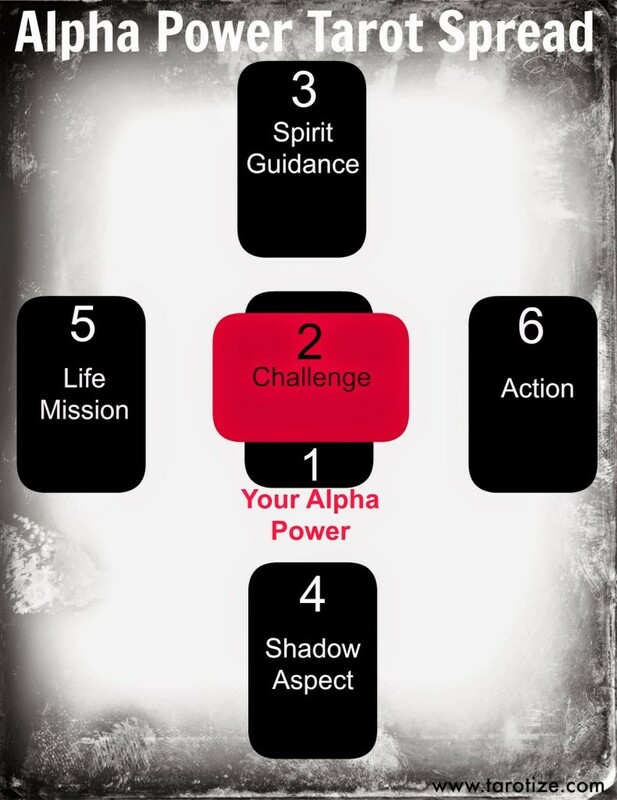 Life Mission – This card shows you how your Alpha Power ties in with your Life Purpose. 6. Action – This is the best course of action for now. Read this card together with the Spirit Guidance card.